We love to show off just how much you can accomplish working with great architectural talent. But not everyone has the patience for that process. Which is part of the reason we spend so much time developing communities full of semi-custom or even turnkey options. Wondering what that means for your options? We asked Louis Nequette, of Nequette Architecture and Design, to explain this particular design process. If you come in early in the process, he notes, you’ll have more customization options. But you don’t have to do that to have a home that feels special. The key, as Louis describes it, is to create enough designs that we avoid constant repetition. “We want them to have the individuality and identity of custom homes,” he says, but with a more streamlined process. “What’s been happening mostly is someone has come in as it’s getting built and slightly customized it,” he says. “And some of the happiest people buy it after it’s done.” That’s especially true in our Smith Lake communities, Silverock Cove and Hawk’s Nest. We want you to be able to get away from it all, including design decisions. But that doesn’t mean you should accept a sub-par space just to enjoy it as-is. We know there’s another way, and we’d be happy to show it to you. Lots of developers use the term “community” to talk about the housing developments they’re creating, but it’s a concept we take seriously. That’s why we work with Nequette Architecture & Design: they’re the real deal in designing places that connect people. “The primary goal is to provide both private and public outdoor spaces to create intentional and/or chance opportunities for people to meet, greet, visit, build relationships,” according to owner and architect Louis Nequette. Taking our Gladstone townhomes in Crestline Park as an example, Nequette walks us through the three types of spaces designed to encourage interaction and the one bit of total sanctuary. “The idea there is to create a private place for someone to hang out and not feel like they’re in the public domain,” Nequette says. Visual tricks like higher elevation and “a landscape buffer” help set it apart from the streetscape. “But it’s not so far away that if someone’s walking by with their dog, you don’t have conversation,” he says. High-tech it’s not, but the sidewalk links residents to each other and to the Crestline Park neighborhood around them. (Saw’s Juke Joint is less than a mile away, after all.) “By providing street parking with sidewalks and street lamps, the idea is you’re going to go get your mail, you’re going to walk your dog, and you’re going to use the sidewalk, and you’re going to meet someone while you’re doing it,” Nequette says. The Gladstone buildings surround a “green”, which offers wide-open shared space. “It’s your yard, and it’s everybody’s yard,” Nequette says. He thinks canine residents may enjoy it as much as human ones. But hey, dogs are the ultimate ice breakers. Of course, even in the best communities, there are times you’d really rather be alone. You could even argue that some opportunities for solitude make communities work. With that balance in mind, Nequette points out fenced backyards just the right size for grilling. Ready for your own? Give us a call. 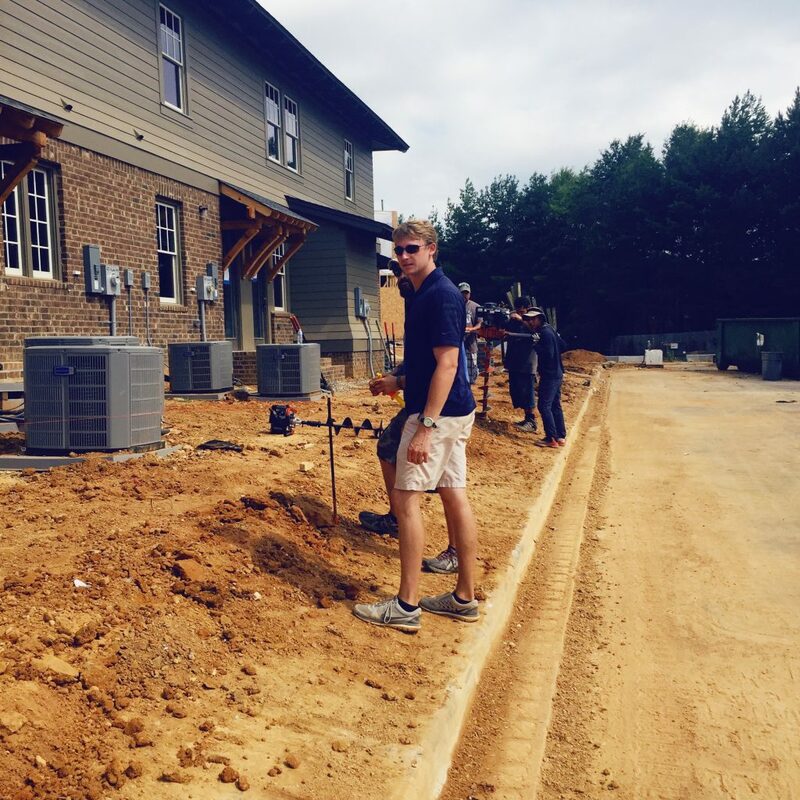 Our Birmingham developments are a way to access older neighborhoods without living in an older home, our own Carter Hughes told AL.com. The Gladstone townhomes in Crestline Park are no exception. They’re a best-of-all-worlds model, and we asked architect Louis Nequette, of Nequette Architecture & Design, to explain how he created it with us. The Gladstone provided “a unique opportunity to take a larger piece of property in the middle of a pretty thriving neighborhood area and add some affordable, more urban living offerings,” Nequette said. And of course, it was right in line with our goals for development in Birmingham more generally. But there are also the realities of urban infill, of putting a new development into an older area. The design brief for Nequette? “We had to fit into the price points of the area, we had to fit into the character of the area, and we had to create a sense of place,” he said. Crestline Park “is a collection of influences,” Nequette explained. But there’s a prevailing English character his firm captured in the Gladstone’s “simple, cottage-inspired” design. “So you have some traditional influence mixed with modern-day living,” he said. Instead of an isolated enclave, it’s a model of the way new communities interact with older ones. Or, in our book, urban development at its best. What do you look for when you’re buying a lake home? Other than geography and enough rooms, what is it that makes a lake home feel right? One man who knows those answers is Louis Nequette, owner of Nequette Architecture and Design. The firm has worked with us to design our two Smith Lake communities — Silverock Cove and Hawk’s Nest — so they’re well-versed in what works for lake living. That two-entrance perspective isn’t the only way a lake house differs in attitude, according to Nequette. As a second home, it doesn’t have to do the work of closeting your entire wardrobe. It can shed “some of the gratuitous square footage” of your main home, so you don’t spend valuable lake time tidying. “It needs to stay simple. It needs to stay airy and open. It needs to have materials that make you feel like you’re at the lake, not at your city house,” Nequette says. It needs “to blur the lines between the inside and the out,” he says. “So let the outdoor environment and the indoor space come together.” In other words, the lake house’s job is to let nature take care of the grandeur. But those homes are part of a larger community. Fortunately, community is also a Nequette specialty. “At Hawk’s Nest we took the typical kind of sequencing of your dock connecting to the house and we allowed this boardwalk to cross all of those and become the waterfront sidewalk that any of the residences can use,” he says. Looking for your place on Smith Lake? Check out our Silverock Cove and Hawk’s Nest communities. 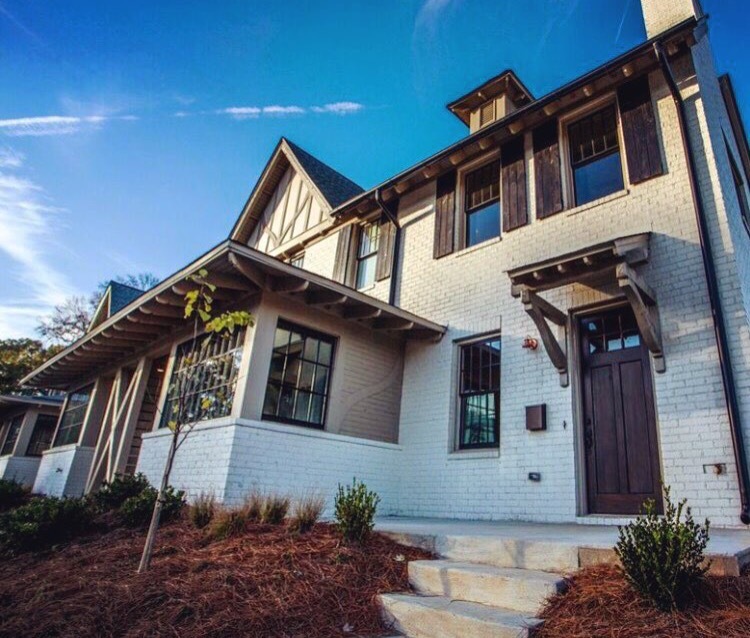 The Crestline custom home in our Instagram feed is not just an H2 build but an H2 home. It belongs to one of our co-founders, and we love showing it off. But this boutique build is about more than personal style; it’s about the way we do business. We believe so much in our partners at Nequette Architecture & Design because we live with their work. It’s the epitome of our boutique build philosophy, where space matters but quality matters more. Located in an older neighborhood, the design can’t rely on overblown entryways and conspicuous volume. It can’t rely on sheer square footage to carve out enough space for a family. That’s where design comes in. It relies instead on the comfortable luxury of stairwells steeped in sunlight, of archways and corbels, and an open plan that refuses to be just another box. And while it’s true that this level of detail really only comes with custom design, we think you’ll notice elements that have made it into more turnkey builds. Into places like the Gladstone. The bottom line is this: the folks who design your H2 community home are the same ones who design ours. Theirs is the work we know and the vision we trust. And the trust works both ways. Designer Bill Aroosian lives at Abbey Road, where he designed the kitchens. Jeffrey Dungan, of the former Dungan Nequette partnership, also made his home there. They had enough faith in our communities they literally bought into them. It’s our favorite kind of testimonial. If you’ve ever wondered how our communities come to life so quickly, meet Mic Mims. He’s our construction superintendent and a driving force behind our Gladstone and Abbey Road communities. With 7am call times, he’s on site bright and early to get the construction day rolling before heading off to do the planning that keeps jobs going. He’s our problem solver, people connector, and sleeves rolled up do-er on the ground making our communities come to life. Mic makes the rounds through Birmingham on an average workday, conferring with our friends at Nequette Architecture & Design in the downtown Loft District and sourcing building materials from supply shops. (You won’t believe the variety of materials that goes into a single home until you’ve been on a construction site.) But if you’ve ever seen behind-the-scenes renovating in a home improvement show, you’ll have some idea of the delicate choreography Mic employs to make job scheduling and supply orders happen right on time. His driving routes give Mic plenty of time to scope out Birmingham architecture, and his building background gives him a real appreciation for solid workmanship. 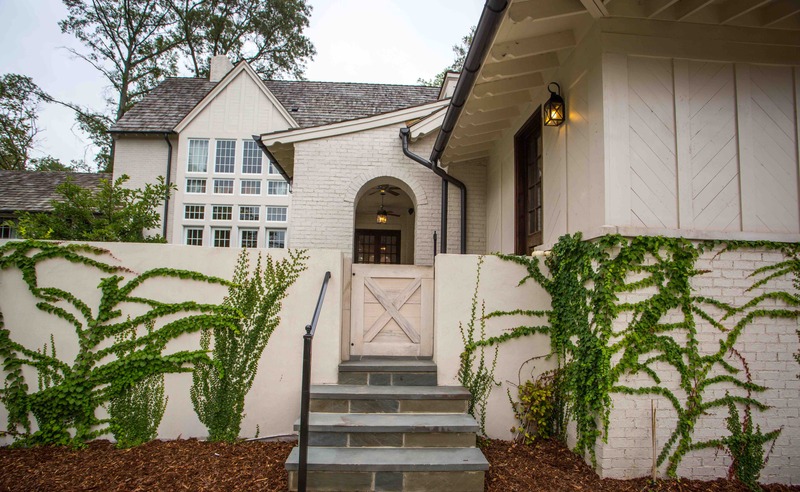 He loves the detail that shows up in some of Mountain Brook’s newer developments, though any builder appreciates the artistry in historic areas like Highland Park. He may well stop off at Dreamland BBQ in the Five Points South neighborhood, because he also appreciates the artistry of great food without a wait. Let’s say you love Glen Iris’s greenery and historic homes, its relative affordability and proximity to downtown. You imagine your own charming bungalow there, but you’re not ready for home ownership. You want the feel of a Glen Iris home with the ease of an apartment. You want to live at Mesa Verde. We fell in love with this property because it allowed us to create a truly different rental option. The bungalow feel of its structure carries through to the interiors, which offer surprisingly intact original features. Older properties are complicated, after all. For every bit of historical charm – hardwoods, cast iron tubs – there tends to be an equal burden of decay. Without the right updates, they never quite feel clean. There’s a dinginess you don’t notice in photographs but that you definitely don’t want to live with. Too many updates, though, and the button-cute exterior encases a space that looks like any other. You want a place that’s endured a few decades and wears them well, with some subtle upgrades that make it feel at home in the present. 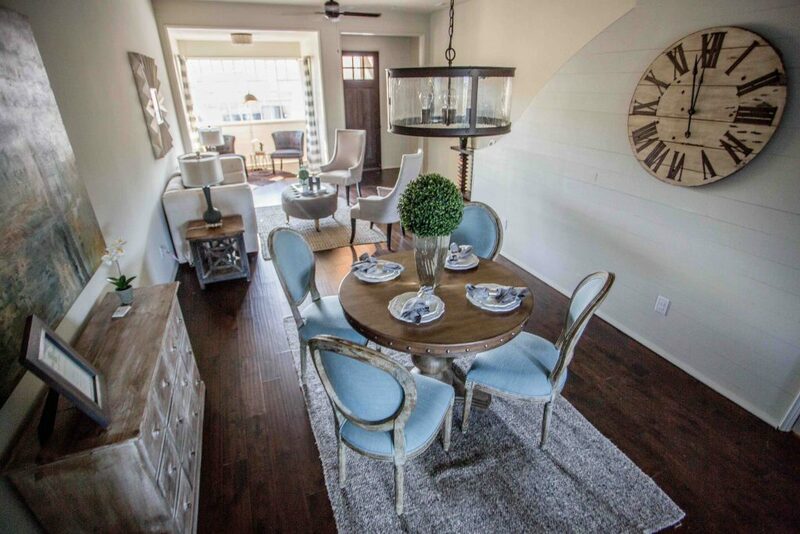 Mesa Verde’s petite porches and glass paned front doors give way to an open plan living space. Recessed lighting bathes shaker-style kitchen cabinets and stainless steel appliances. A ceiling fan anchors the living space and keeps it comfy through long Alabama summers. Hardwood floors have been here since the property was built, polished up without erasing the patina of age. Outside, you’ll love the tree-lined sidewalks and the beauty of historic Glen Iris Park a mere block away. Small dogs are welcome in these pet-friendly units, and keeping them happy has never been easier than with neighboring George Ward Park’s dog runs. Enjoy the warmth of a very residential neighborhood with city vistas reminding you that the action is never far away. One of the key drivers of home buying is convenience. Often, our clients have opted out of the suburban commute, deciding to spend their time within an increasingly interesting Birmingham. But that doesn’t mean everyone wants to be right downtown. For many clients, a semi-urban location hits the sweet spot between downtown access and a residential lifestyle. Our Gladstone townhomes in Crestline are a prime example of the semi-urban location at work. 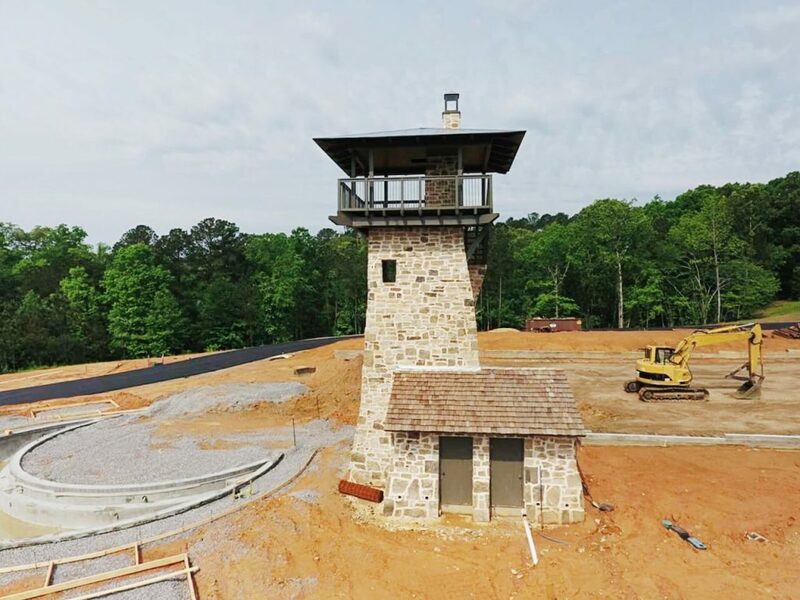 Crestline is a best-of-both worlds kind of area, and that’s what we’ve tried to capture in siting our newest community development. The Gladstone location — 4447 Montevallo Road — lies between the neat single-family streets of Crestline Park and the everyday essentials available in the neighboring Crestwood/Irondale corridor. It’s convenient to the big-box resources of the Montclair Road Publix and the independent gems of Dunston Avenue. The Gladstone is within shouting distance of Brookwood Primary Care, Shangri-La Chinese, and multiple pharmacies. There’s even an innovative public library branch, which the Birmingham Public Library says was conceived by former BPL Associate Director Jack Bulow, who wanted “to have a branch in a mall and merchandise it like a bookstore.” Just past the shouting perimeter, you’ll find banking options at Regions and BB&T, easy eats at Milo’s or El Cazador, plus doggie day care and boarding services at We Talk Dogs. This is not a community for folks looking to sell off their cars and commit to a walking or biking lifestyle. It’s for folks who can accept a quick drive to work but not the life-in-a-car experience of an I-65 or Highway 280 commute. 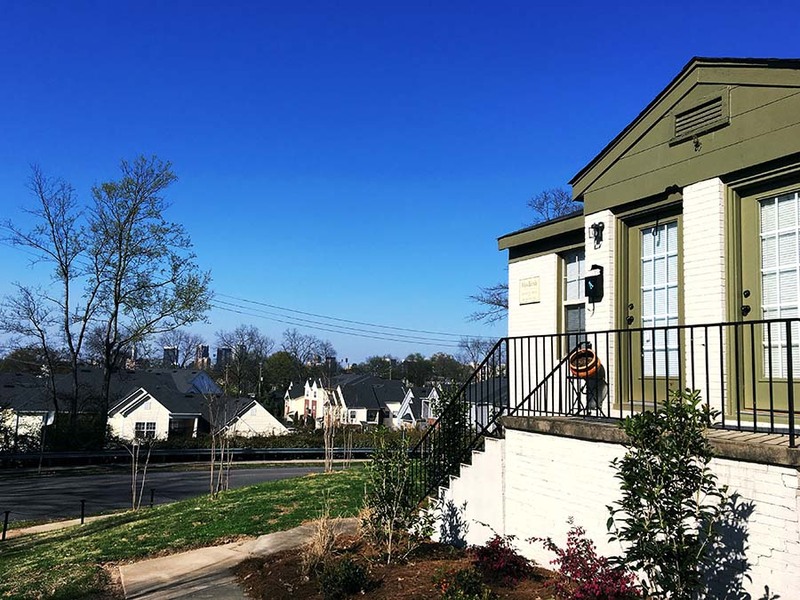 It’s also one of the few options for homebuyers in Birmingham proper who want the convenience of a community development without the stacked neighbors of multi-family living. The whole point of developing a community, after all, is to create living options that aren’t readily available. “Our focus is really to provide products that people haven’t had lately to encourage people to live in our city,” our own Carter Hughes told AL.com. If you’ve had trouble finding your perfect Birmingham spot, consider the Gladstone your Goldilocks answer. 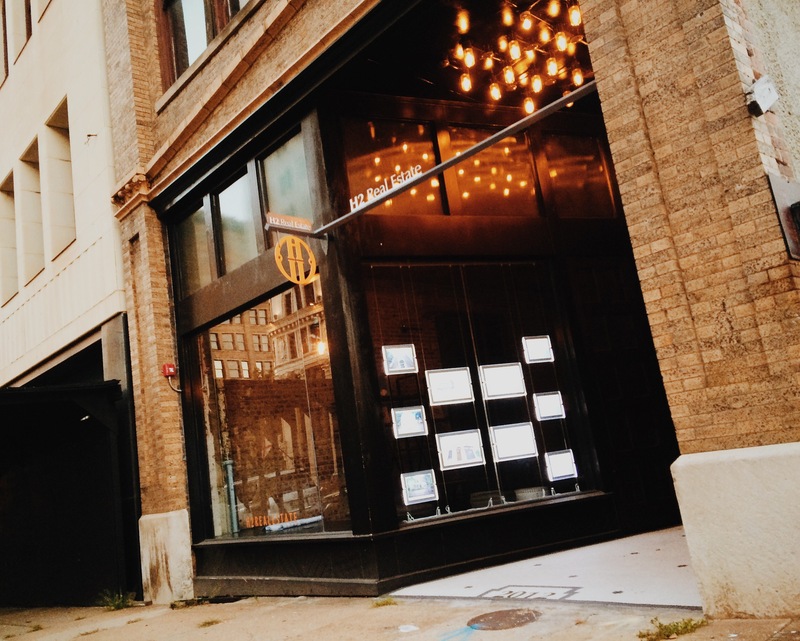 We moved downtown this year to be in the thick of the Birmingham revival, as we told the Birmingham Business Journal. At its epicenter, so to speak. And there seemed no place more appropriate than the heaviest corner. We may still be in the planning stages on the Brown Marx building, but our own home in the Brown Marx annex is fully operational. If you follow us on Instagram, you’ve seen images of the office already, but 2016 is our first full year in the space. We thought it was time to give a clearer picture of where and how we work. When you own a building that’s survived since 1884, you want to let it shine. Our favorite Dungan Nequette Architects worked with us to feature the pressed tin ceilings, and exposed brick original to the building. But as much as we love its age, this building is no time capsule. The firm brought in a deep gray paint color and industrial lighting for an updated feel that’s not at odds with historical features. They also added design features like detailed millwork and custom 14-foot doors that felt appropriate to the building’s age. The magic of high-ceilinged buildings downtown is the scale, after all, and that’s what Dungan Nequette really worked with. Plus, that focus on height helps show off our very favorite part of the space: the skylights. Looking up toward classic Birmingham skyscrapers is our quintessential city view. This isn’t just an office but a storefront, so its appeal to downtown’s growing foot traffic was just as important as interior styling. The large glass windows with transoms are classic Loft District details, as is the tiled entryway featuring our street number. We let those elements remain the stars but added graphic signage and an overhead panel of Edison bulb lights to set the space apart. We’ve always loved coming to work (really, it’s true! ), but never more so than to Brown Marx. Stop in and visit when you’re in the neighborhood. We’d love to show you around!